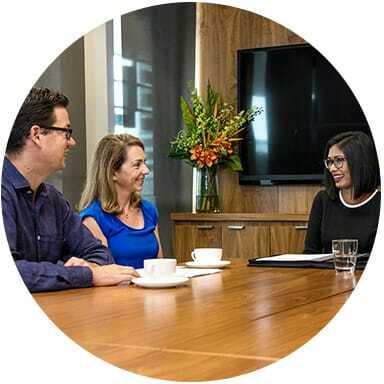 Elston is one of the largest privately owned and operated financial services companies in Australia, with offices in Queensland, New South Wales and the ACT. Our objective is to provide customised financial solutions for Individuals, Couples & Families, as well as Professional Advice Firms, Accountants and Financial Planners. We are a client-focused business with a positive, engaged team and culture, combining holistic wealth advice with the benefits of direct investment. We are not a platform-based business with unitised trusts, hidden fees and middlemen. Everything we do reflects this goal, the values that make it possible, and how we interact with clients. We service both retail and professional clients and they are our business. ‘Client first’ is central to everything we do and our actions show it.. We always strive to fully understand our clients’ financial situation and tailor a proactive solution which progresses them towards their vision of success. We’re determined to provide an exceptional on-going experience and service, one that our clients value and advocate to others. ‘Client first’ is central to everything we do. Our actions reinforce this. We fully understand our clients’ needs and if unsure we ask. We provide tailored solutions that meets our client’s individual needs. Our clients value us. We provide them with an exceptional on-going experience and service, one they are genuinely happy to pay for and advocate to others. We provide proactive solutions by communicating and acting first. At Elston we understand that to grow and sustain long term relationships we must respect all stakeholders of the business. We believe that placing an emphasis on listening enables us to communicate respectfully as we can process feedback effectively. An open two-way communication is key to ensuring that stakeholders are accountable to each other in a way that displays compassion, empathy and respect for each other’s differences. We communicate openly, honestly and transparently to all stakeholders in a timely manner. Our communications need to be two way, so we listen as much as we speak. We’re committed to personal development and accountable to each other’s success. We have an upbeat attitude that shows compassion and empathy and is respectful of each others’ differences. We show respect to stakeholders by investing our time in creating sustainable, long-term relationships. We value each other’s time by making ourselves appropriately available. We celebrate each other’s success and actively look for feedback and ways to help each other succeed. Our sustainability depends on strong leadership and decision-making. We believe in diversity of thought and provide an innovative environment that fosters ideas and success. We take responsibility for creating a culture of growth, comradery and security, by sharing our success in a fair and consistent manner that acknowledges the contributions of all stakeholders. Our sustainability depends on strong leadership and decision-making. We believe in our people and provide an environment that fosters growth, ideas and success. We are constantly looking ahead and encourage diversity of thought. We promote one best way until a better way is shown. Risks are considered in all that we do and we actively seek ways to minimise risk. Each of us is responsible for creating a culture of growth, comradery and security. We share our success in a fair and consistent manner that acknowledges the contributions of all stakeholders. We understand that trust and respect are byproducts of our actions and it is only when they are aligned can we say that we have integrity. By always being transparent and ethical, while delivering on what we say we are going to do, our stakeholders can have confidence to our word as we always follow through on our promises. We do what we say we are going to do and persistently strive to achieve our best. We show this through empathy and valuing others at all times. Every interaction should be an experience of the highest standard. We uphold and exceed standards and speak up when a mistake is made or if something is not right. Exceeding expectation is our minimum standard and we are constantly striving to be better. Trust is earned by producing consistently exceptional work and being transparent and ethical in all that we do. We are responsible for our actions and admit when mistakes are made.